Ahmedabad is one of the best travel destinations in Gujarat. Tourist Places in Ahmedabad attracts a large number of domestic and international tourists each year. It’s a beautiful destination to spend your vacation, small trip, and weekend holiday. To buy travel packages for Ahmedabad, we strongly recommends you to check reviews online before your final call for the holiday package. In this article, Traveljee has compiled a list of best tourist places for personal vacation, business trip, honeymoon trip and many more. So, let’s enjoy! Gandhi Ashram is an identity of Ahmedabad. It is one of the most visited tourist places in Ahmedabad by history lovers. It’s was an important place for the freedom movement of India, led by Mahatma Gandhi. Many important activities have taken place in this place. A dedicated museum is created to provide the glimpse of ‘Mahatma Gandhi’s life’. A good number of items are available in the museum which are related to Gandhiji. 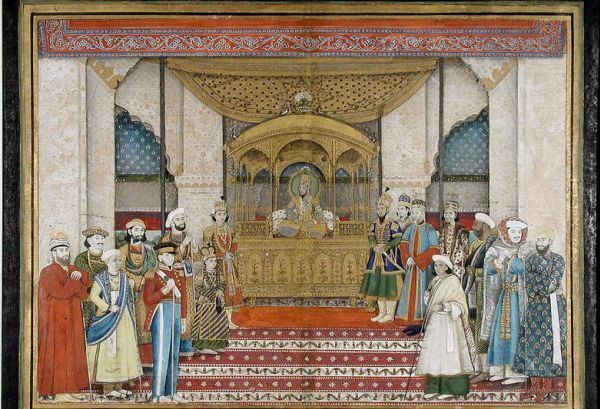 It is one of the best historical places in Ahmedabad which you should visit. Kankaria Lake is an important tourist attraction among the weekend goers in Ahmedabad. It is one of the most popular tourist places in Ahmedabad among the domestic and foreign tourists. The lake was built by the Sultan Kutubuddin in the 15th century and named ‘Qutub Hojj’ or ‘Hauj-e-Kutub’. A beautiful garden is located on the middle of the lake which is known as ‘Nagina Wadi‘. Kids City (Kids play area), Toy Train, Zoo, Water Rides, Food Stalls, Entertainment, and Tethered Balloon Ride are the main tourist attractions of Kankaria Lake. The entry fee is nominal and should be visited by every age group visitors. 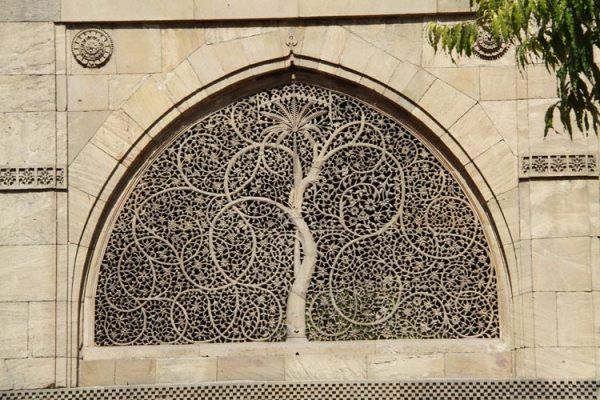 It’s an important mosque, located in the city of Ahmedabad. 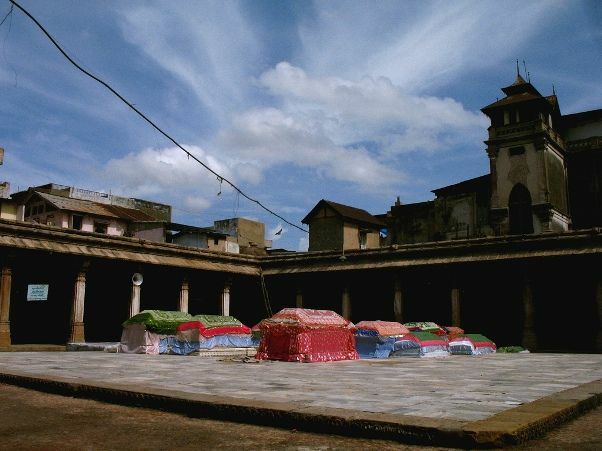 It is also considered as one of the oldest mosques in India. 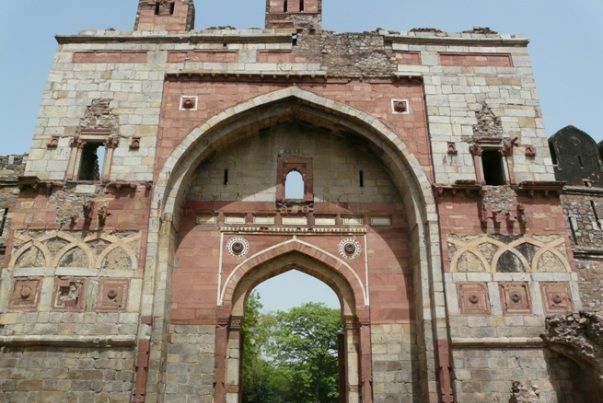 It was built in 1573 with original marble stone and fixed on the wall of the mosque. The Sidi Sayed Jaali is a popular architecture among the tourists, and praised by everyone. The place is visited thousands of tourists each year and popular among the all age group. Manek Chowk is the most popular traditional food street in Ahmedabad. The area is blessed with many beautiful buildings with the old and best architecture. It is located near Bhadra Court, a prime location in the city. Manek Chowk is also known for it’s bullion market and traditional food street. Best Things to Do: Traditional street food is much popular in the city. A variety of food available from modern to desi, such as traditional Chinese, Punjabi, Mexican, Continental and others. 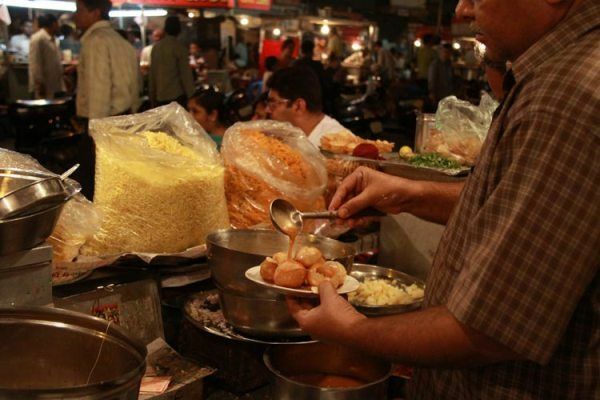 It is better to taste the traditional street food at Manek Chowk for a real taste of India. Lal Darwaja is a famous local market for traditional shopping. Lal Darwaja is a very crowded place with many footpath stalls selling products at the cheapest rates. Be aware, a lot of low quality and duplicate products are sold at this place. Tips: Be aware of duplicate items or low quality products at Lal Darwaja. They will quote you 5 times higher prices from it’s original selling price. For example, if you would like to buy shoes from the stall owner, they will quote you Rs. 1000/-. If you are good at bargain, you can easily purchase that shoes for around Rs. 200/-. Safety: Generally, Lal Darwaja is one of the popular shopping destinations in Ahmedabad. It’s a popular shopping place in Ahmedabad for cheap products. It is advisable to secure your money and yourself. A pickpockets incidents happens sometime to steal your money and luggage. 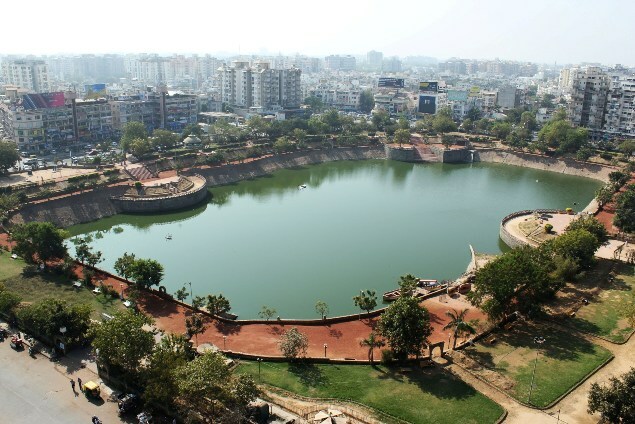 Vastrapur Lake is a popular attraction in Ahmedabad among the youth. It is situated in the western part of the city. 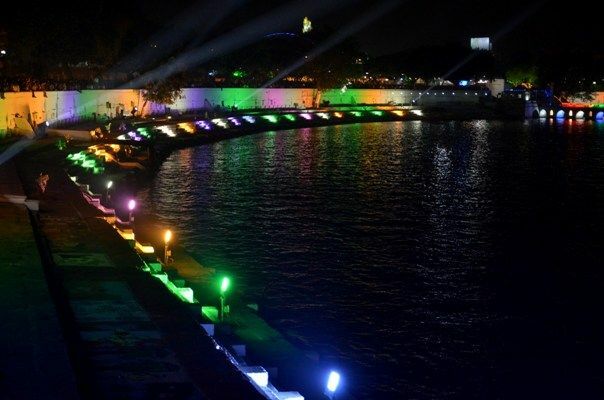 The Ahmedabad Municipal Corporation has improved this lake in 2002 with many new facilities to make it tourist spot. Vastrapur Lake is a popular place among the night walkers and morning walkers. Motera Stadium is situated in Motera, Ahmedabad. It is the largest cricket stadium in Gujarat with a seating capacity of 54,000 which was built in 1982 by the Gujarat Cricket Association, commonly known as GCA. Shashi Prabhu was the architect for Motera Stadium. A lot of state level, national level and International level cricket matches held in this stadium. 1. Adani Pavillion End and 2. GMDC End are the two main ends in this stadium. 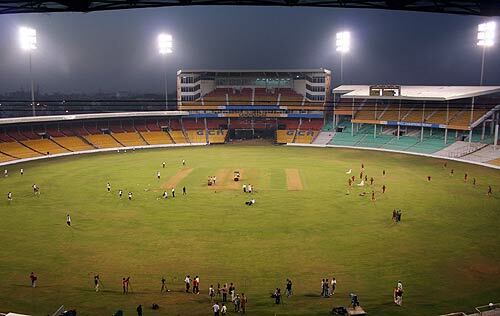 It is one of the most popular cricket stadiums in India. A prior special permission is required to visit this stadium. Jama Masjid is one of the oldest mosques in Ahmedabad which was built in 1424 during the era of Ahmed Shah. There are total 15 domes and 260 spires in the mosque. Jama Masjid meaning in English is “Friday’s Mosque” i.e. Jama=Friday and Masjid=Mosque. Jama Masjid was inaugurated by the Sultan Ahmad Shah-I on 4th January, 1424 for private use of the sultans. The Lalbhai Dalpatbhai Museum is also known as L. D. Museum, located near the University of Gujarat, Navrangpura, Ahmedabad. It’s a museum of Indian sculptures, wooden works, paintings, manuscripts, bead works, bronzes, drawings, and coins. The museum is open on all working days except on Mondays and holidays. FYI, the museum also have in house art reference library. Rani no Hajiro is a tomb complex, located near Manek Chowk, Ahmedabad. The construction is based on Indo-Islamic architecture and designated as Monument of National Importance. The tomb complex has one of the best Islamic architectures in India. Q1: How much time it requires to visit most important places in Ahmedabad? Answer: It depends upon your interest. We recommends you to spend at least 5 days in Ahmedabad to cover most important places in Ahmedabad and nearby areas. Q2: Is it safe to visit Ahmedabad alone? Answer: Yes, definitely. But follow standard safety tips. Q3: Is it a good travel destination for kids? Answer: Ahmedabad offers many attractions to kids for their vacation and holiday. Article last re-published on September 12, 2018.
really nice places in ahmedabad. We enjoy up 15 Years in Ahmedabad. We are provide Taxi in Ahmedabad. If need any kind of help in Ahmedabad then sure contact. Wld like to cover major sights in Ahmedabad: Swaminarayan T, Sabarmati Ashram, Siddi Saiyed M, Hsthisingh Jain T, Dada Hari Ni Vav, Jama Masjid M, Sarkhej Roza, Iskcon T, Jhulta Minar, Adalaj Stepwell, Akshardham T, Modhera Sun T, Heritage Sites. Arr 27-30th Mar 2017, 2 paxs. Kindly email/ whatsapp. Thanks Elizabeth for your comment. Right now, we are not offering any travel packages for Ahmedabad. It’s just a informative article. Thanks. Happy Trip! All the places are well known and Ahmedabad (Gujarat) being known for its vibrant, this places makes worth a visit. Very informative. U can add newer places like Apha One Mall/ Iscon temple/ Sarkhej Roza/ Vaishnodevi temple and most importantly Akshardham to your list… Hope u wud update soon. Ahmedabad roxxx!! Thanks Mohit for your interesting comments. We will add these places soon in our list. Yes Manish, Kankaria Lake is the fastest growing tourist spot in Ahmedabad. It becomes weekend picnic place for Amdavadi people.